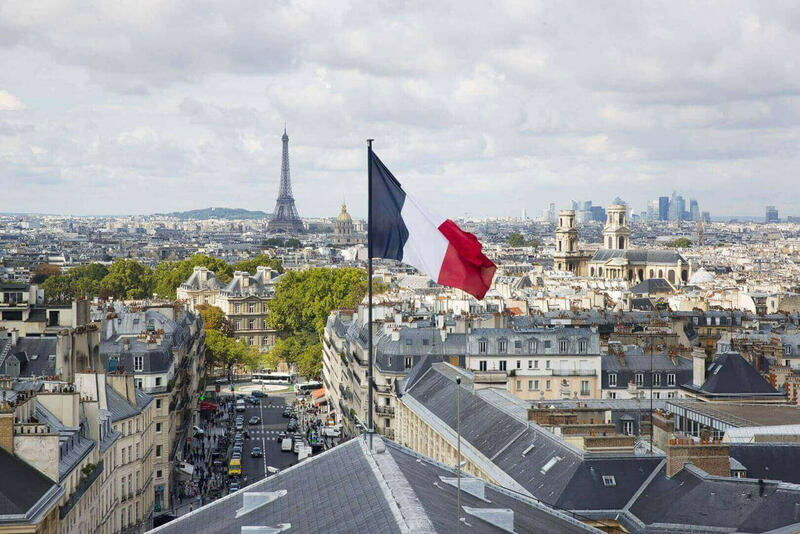 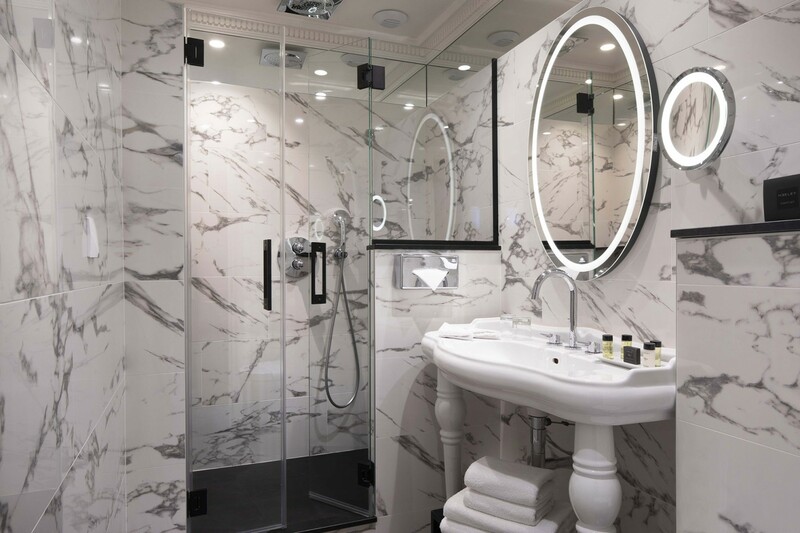 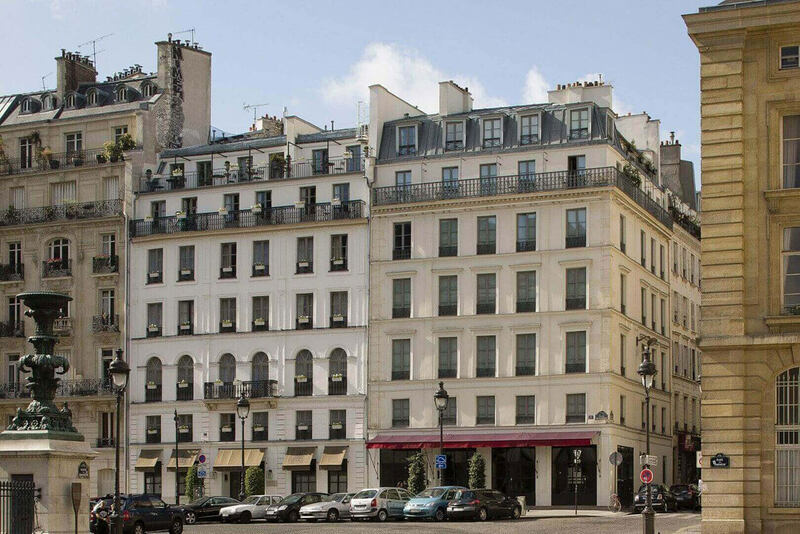 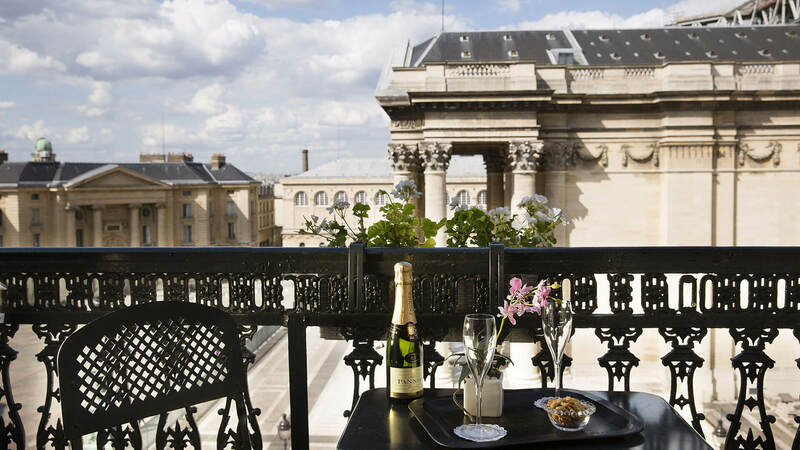 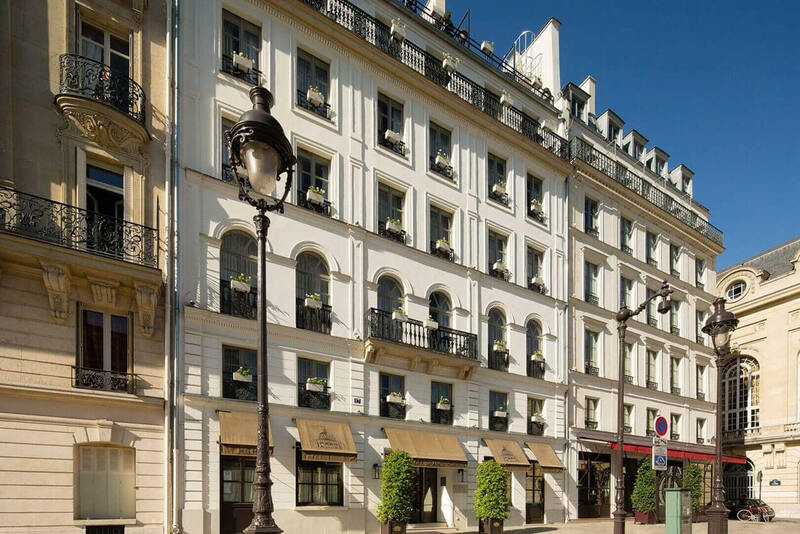 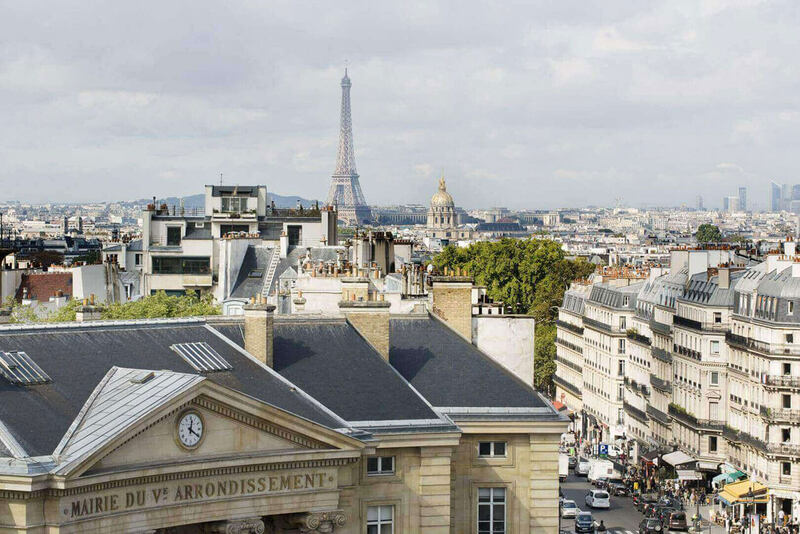 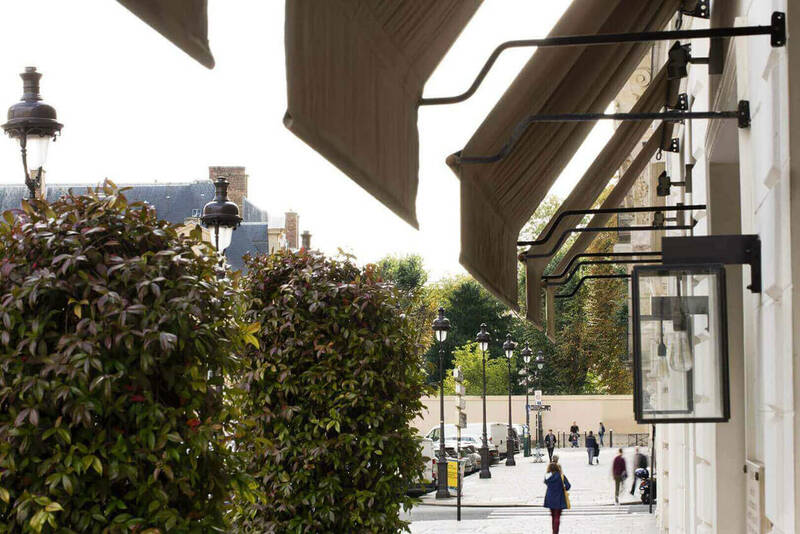 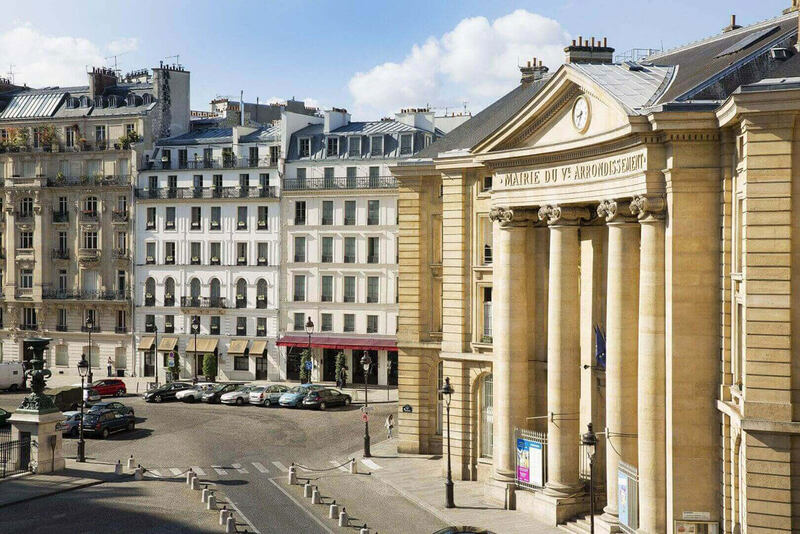 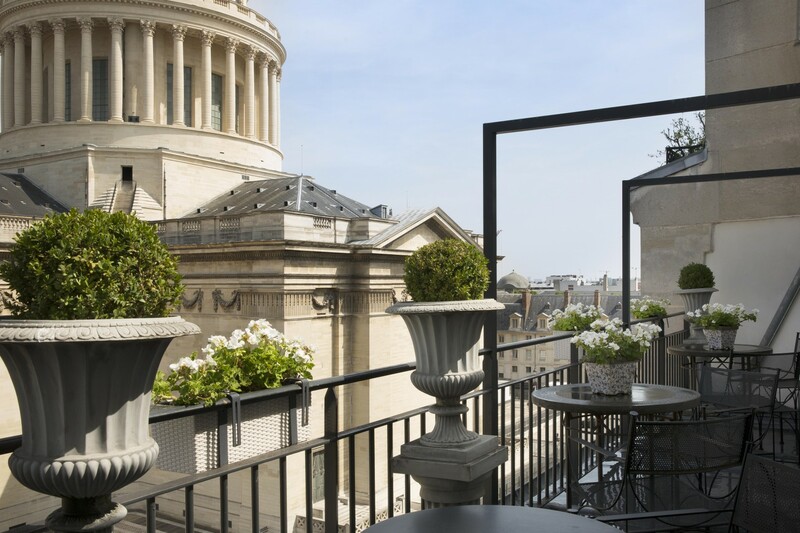 Perfectly situated opposite the columns of the Pantheon in the heart of the historic 5th arrondissement, the Hotel des Grands Hommes is an ideal base for exploring Paris. 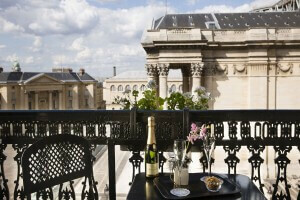 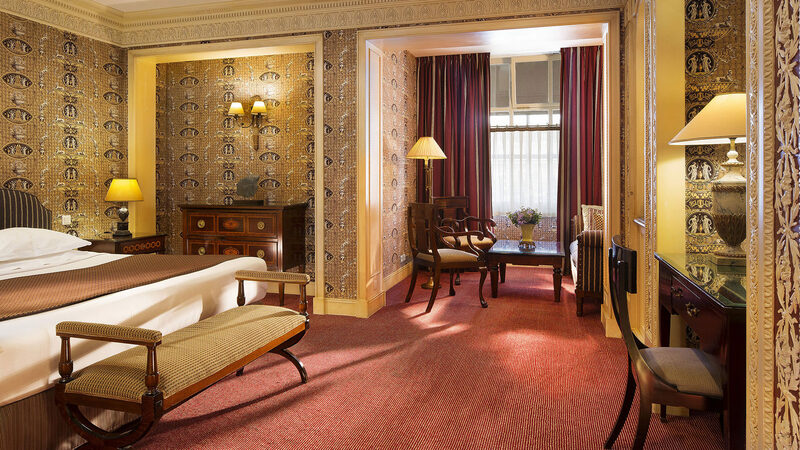 The various rooms and suites at the Hotel des Grands Hommes revisit the Napoleonic style of the early 19th century. The fabric wall coverings with Greco-Roman inspiration or floral ornamentation, Empire-style furniture, lush carpets and choice of fabrics and colours evoke an elegant atmosphere reminiscent of classic chic. 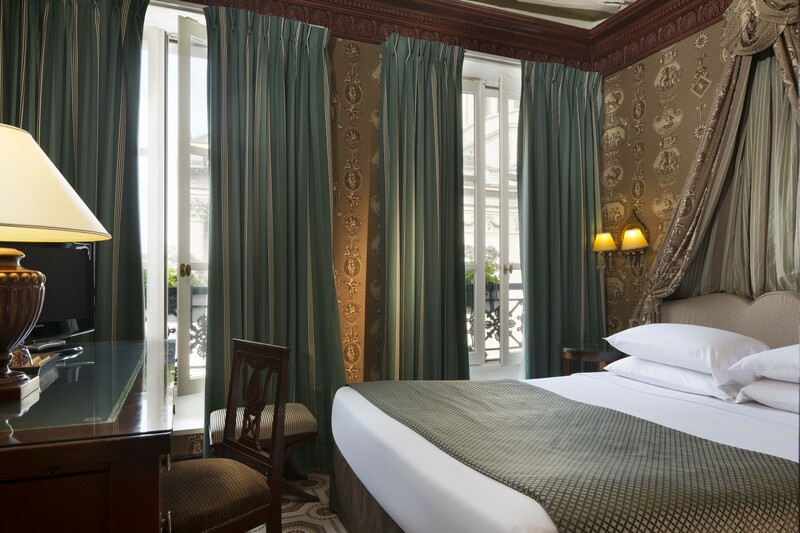 Ideal to welcome families and long stays, our Junior Suites are the most spacious rooms off the hotel. 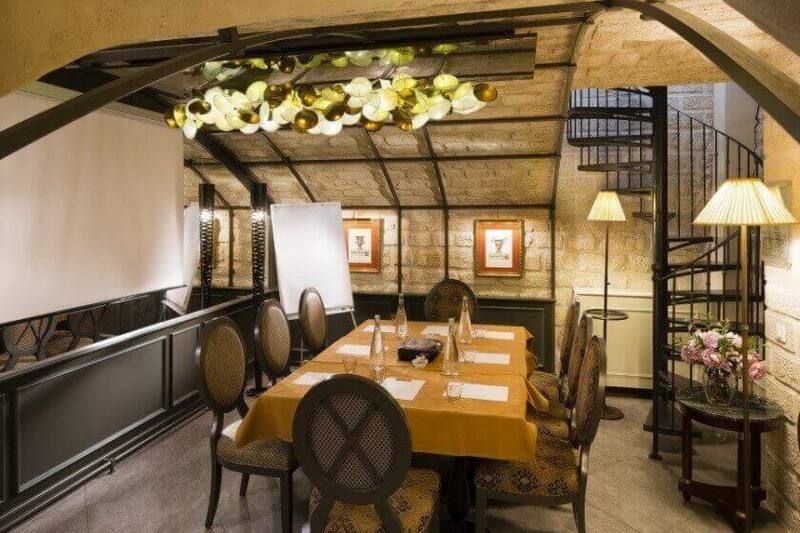 For small-scale meetings (maximum 12 people) the Hotel des Grands Hommes has an extremely elegant room with a stone-vaulted ceiling which can be privatised just for you. It has all the technical equipment needed in order for your work sessions to go without a hitch. 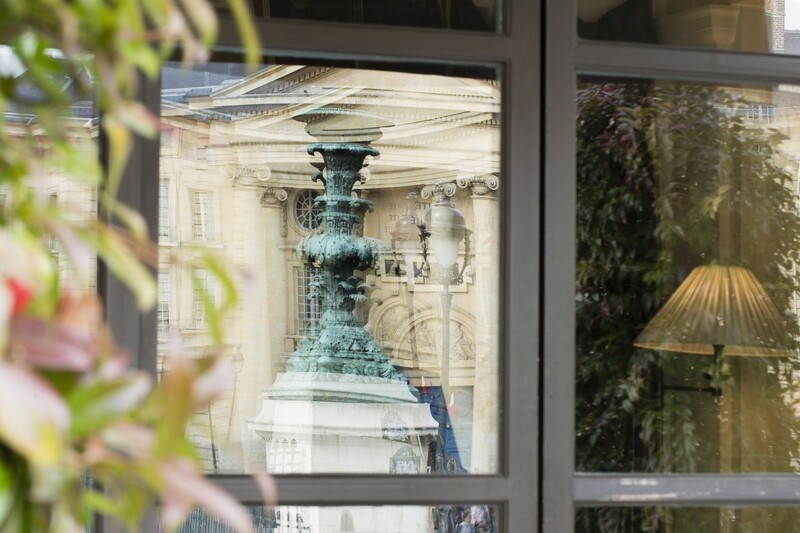 Whether for a study day, a photo shoot, interviews, a post-exam drink, product launch or training session, this discreet, welcoming venue can be adapted to meet all your needs. 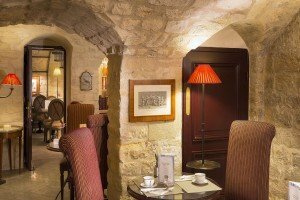 Breakfast at the Grands Hommes is served in an elegant room with stone-vaulted ceilings. 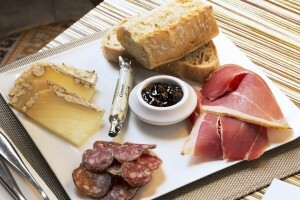 A selection of fresh, local and regional products are on offer, selected for their great flavour. 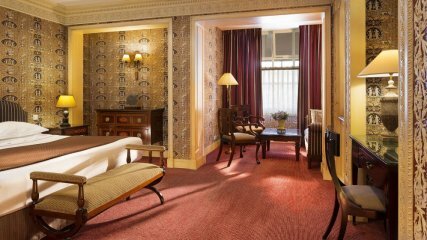 The building, constructed in the 18th century, became a place of accommodation at the end of the 19th century, first as a family boarding house, then a hotel. 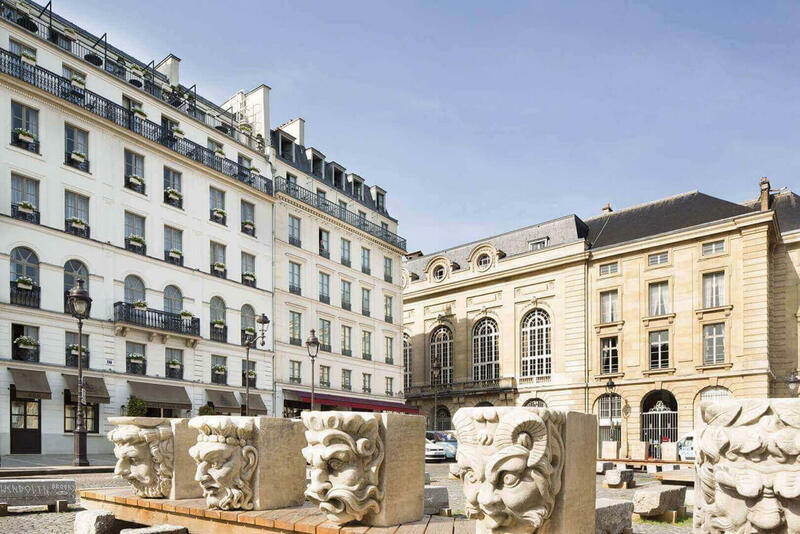 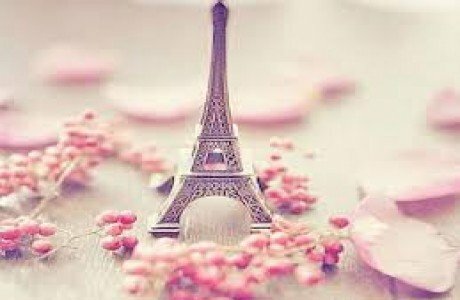 It’s here, in 1919, that the famous poets André Breton and Philippe Soupault wrote Les Champs magnétiques (The Magnetic Fields), marking the start of the surrealist movement and automatic writing. 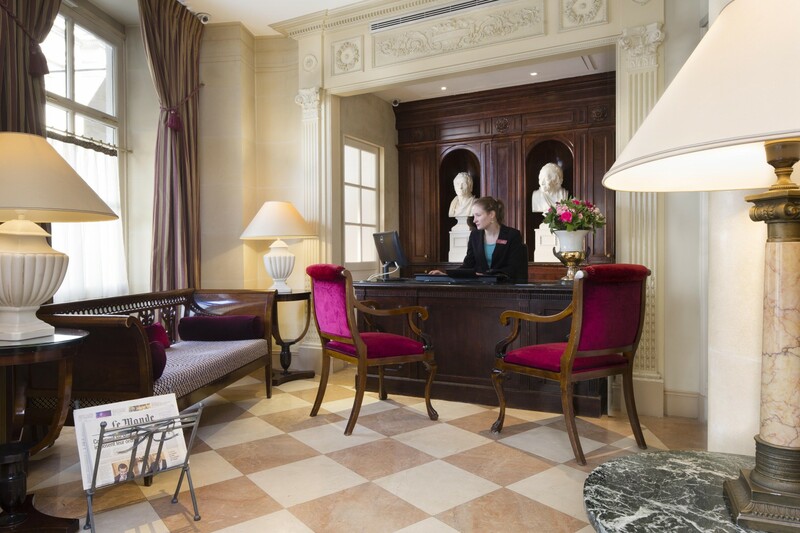 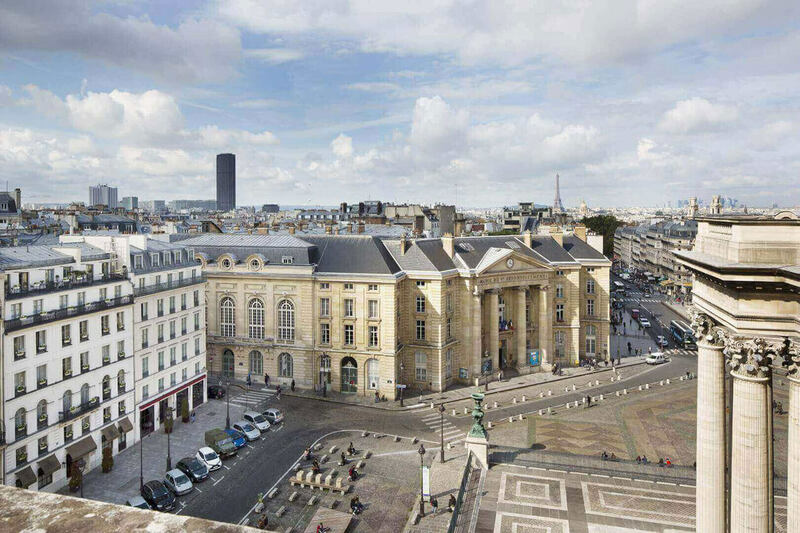 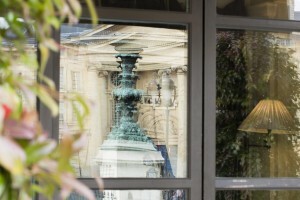 Discover the picture and the virtual visits of the Hotel des Grands Hommes.